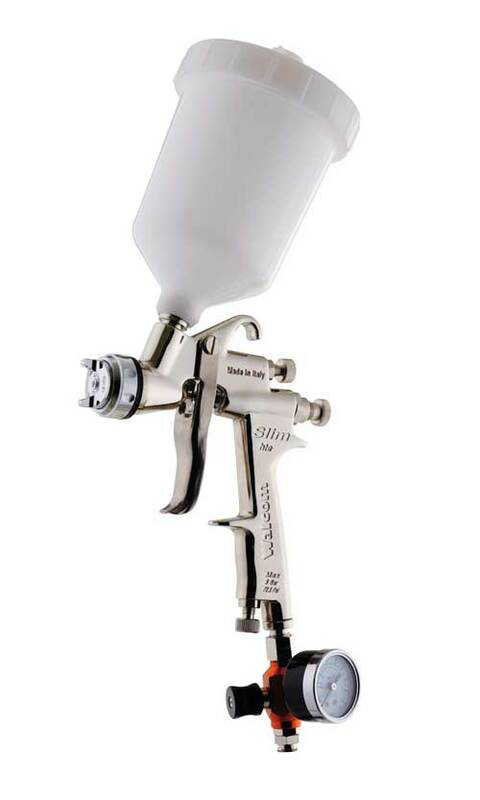 SLIM spray guns mainly designed for bodywork base application but which, thanks to the ability to adapt to different paint product viscosities, can also be used in the industrial and woodwork sectors. High atomization level, especially in the HTE version, makes it an excellent finish spray gun for the bodywork sector. Appreciated for its light weight, ergonomics, flexibility and quality details, Slim now plays a leading role in the high level paint market. 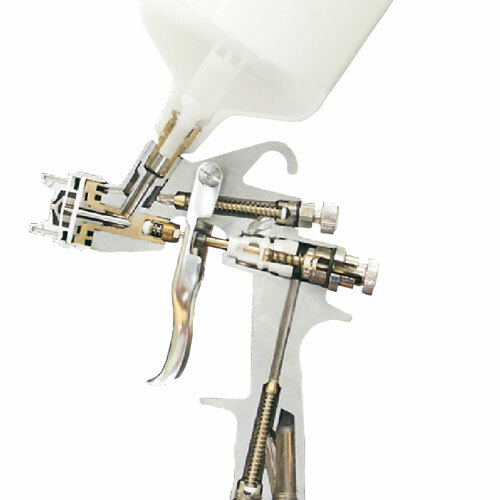 maintenance ease; resistant to aggressive solvents and strippers. 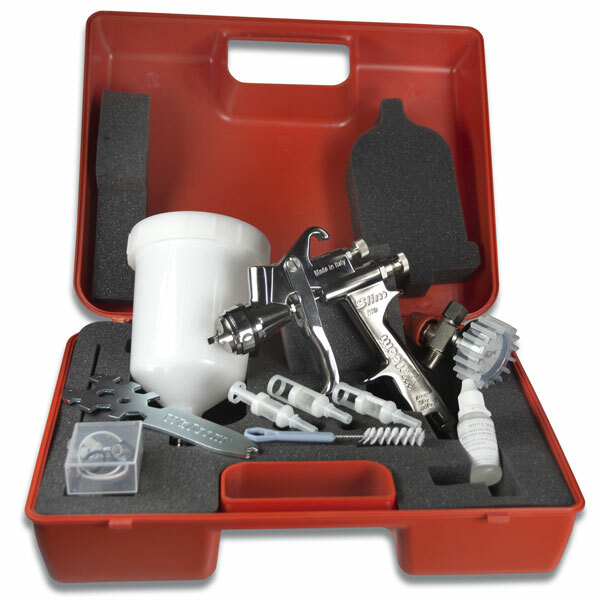 All spray guns of the Walcom® range are supplied in easy to use rigid plastic cases containing all the accessories for a proper cleaning and maintenance of the product. SLIM Case contents: Slim Gun, 600ml Pot, Regulator, Rebuild Kit, Gun Spanner, Cleaning Brush, 3x Filters, Oil Bottle & Tough plastic case. 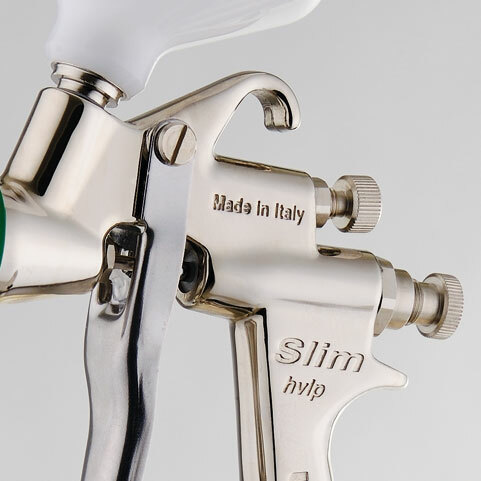 The SLIM spray guns are constructed with air valve and needle on a single axis to provide higher performance and greater. UV Primers are becoming common place in more paint shops. With faster turnaround times and less wastage shops are quickly adding UV cured primers into their work flow systems. 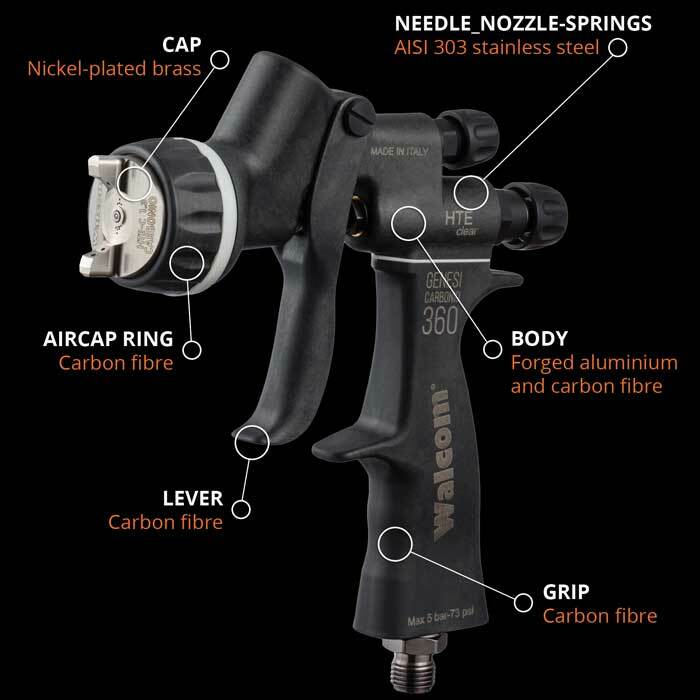 Walcom Australia recognised UV technology as something big and here to stay some time ago and developed a UV Spray Gun to add to our professional range of spray guns. Until the release of the new Walcom UV Primer gun there were few guns out there and if a shop managed to find one it had a price tag well over $600. 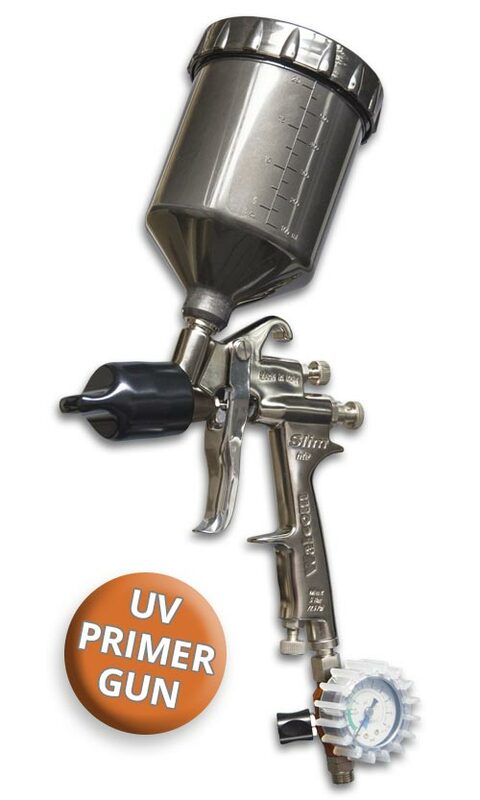 The Walcom UV primer gun is available in 1.0 or 1.2mm set up. Each UV gun comes with a grey UV Proof Pot and a handy UV Air Cap cover to prevent unwanted curing of any product in the gun. 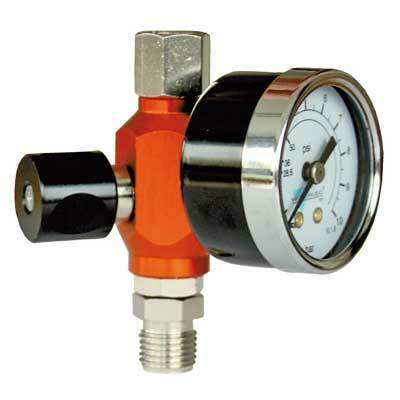 Suitable for use with any manufacturers brand of UV Primer.